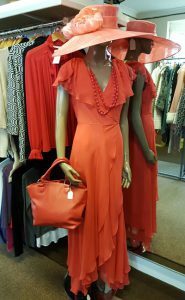 Here at Butterflies we sell a wide selection of clothing, wedding dresses and accessories that are perfect for any occasion. Due to the high turnover of stock items that come in and go out we are not able to maintain a online store effectively. Please either pop in to see us or visit our Facebook page for our latest stock arrivals.